Chris Seagar is a Director of Seagars and a Fellow of the New Zealand Institute of Valuers and Property Institute of New Zealand. Elected to the NZIV Council in 1997, he was appointed a Director of the Property Institute of New Zealand in 1999 and served as its President between 2003 and 2005. The firm which he founded in 1981 currently employs 27 valuers operating throughout Auckland. He has been a Director of Seagars since its incorporation in 1994 and bases himself in the Auckland offices. Chris’ experience in private practice has been wide-ranging including valuation and property advisory work for the private and banking sectors or the property industry. Chris has managed the valuation of several significant property portfolios and valuation assignments over the past 20 years including the valuation of Waikato Tainui’s interests in the land settlement with the Crown and as valuer to Ngati Whatua o Orakei in Auckland and Te Arawa in Rotorua in their Crown land settlements. 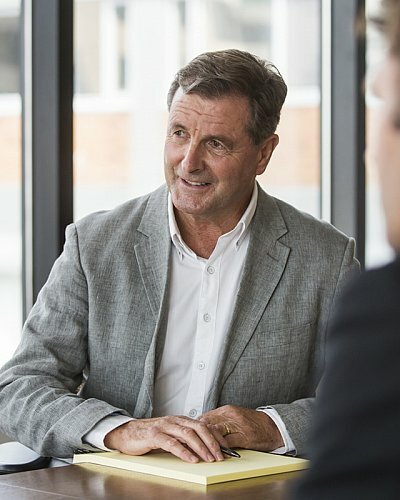 He has specialised in Airport valuations over the past ten years including the commercial assets and land at Auckland International Airport since 1999, Christchurch Airport assets since 2007 and Queenstown Airport since 2008. Other areas of specialisation have been the valuation of marinas and seabeds in Auckland and leasehold interests related to both commercial and residential land. He has also valued a number of significant coastal developments including the Kauri Cliffs and Cape Kidnappers Golf Course resorts. Chris often receives appointments to act as expert or Arbitrator in disputes over property matters including expert determination of valuations in dispute and to provide general property advice.